This episode we get up close with composer-lyricist Carol Hall (Best Little Whorehouse in Texas) as she discusses her career and new CD, Hallways. We also have interviews with the shows "Night of the Iguana" and "Life in a Marital Institution" and hear a song from the new cast album release, "Gone Missing". We also have news and more! The first person ever to record one of Carol Hall’s songs was the young Barbra Streisand. Subsequently, her songs were performed by such extraordinary singers as Tony Bennett, Barbara Cook, Margaret Whiting, Julie Wilson, Chita Rivera, Michael Feinstein, Mabel Mercer, Amanda McBroom, Lari White, Olivia Newton-John, Maureen McGovern, RuPaul, Miriam Makeba, David Campbell, Frederica von Stade, Kermit the Frog and Big Bird. Among others. She’s also one of the few songwriters to have a hit Broadway show. Her classic musical The BEST LITTLE WHOREHOUSE IN TEXAS entertained Broadway audiences for almost five years, received a Grammy nomination for its cast album, and became a popular film starring Burt Reynolds and Dolly Parton. Dolly’s recording of Carol’s song “Hard Candy Christmas” won an ASCAP Most Performed Country Song Award, and the film generated an ACADEMY AWARD nomination for Charles Durning, singing “The Sidestep” as the slippery Governor of Texas. A recent national tour of WHOREHOUSE starring the entertainment legend Ann-Margret enjoyed a run for over a year and a half. Carol also does a lot of writing for children. Her “It’s All Right To Cry,” and “Parents Are People” continue to be favorites of generations of children. Recently she created the score to the theatrical version of the popular children’s series MAX AND RUBY. Four tours of the show are presently playing across the country, after a successful debut opening Off-Broadway in December 2007. In addition, it features her musical collaborations with Bill Evans, Steven Lutvak, Robert Burke, Lesley Gore and Tex Arnold. And what an array of singers she has here! In addition to CAROL, performing on the CD are Farah Alvin, Tom Andersen, Hubert “Tex” Arnold, Susannah Blinkoff, Scott Coulter, Tim Di Pasqua, Lesley Gore, Bobby Gosh, Rick Jensen, Steven Lutvak, Laurel Massé, Sally Mayes, Amanda McBroom, Johnny Rodgers, Carol Woods and the Broadway Inspirational Voices. The New York Public Library for the Performing Arts delves into its renowned collections for Writing to Character: Songwriters & the Tony Awards, the first exhibition to explore the over 70 Broadway shows that have won Tonys for either Best Musical or Best Score. MCC Theater is pleased to announce another all star line-up for the company’s annual gala, to be held Monday, March 10, 2008 at The Hammerstein Ballroom (311 West 34th Street between 8th and 9th Avenues). 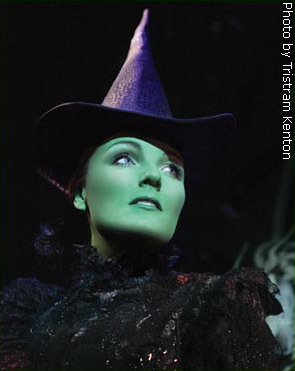 Kerry Ellis, currently starring as London’s Elphaba in Wicked, is to recreate her award-winning performance on Broadway. We talk with writer/monologist James Braly. James Braly spent over twenty years researching life in a marital institution. He’s performed his autobiographical stories on Marketplace, NPR, and at The Whitney Museum, Long Wharf Theatre, and The Moth, where he is the only two-time winner of the GrandSLAM and a featured performer on The Moth/TNT National Story Tour. His monologue, LIFE IN A MARITAL INSTITUTION, was featured at the 2007 Edinburgh Fringe Festival, is a forthcoming book from Algonquin, and will open this February in New York City at 59 East 59th Street Theaters. We listen to the song, “Lost Horizon” from the Off-Broadway Cast album just released by Sk-k-boom Records. Devised by the award winning theatre troupe The Civilians from interviews with real-life New Yorkers, Gone Missing is a wry and whimsical documentary musical about things that go missing — keys, personal identification, a Gucci pump…or one’s mind. The show is a collection of very personal accounts of things lost and found, creating a unique tapestry of the ways in which we deal with and relate to loss in our lives. It features music and lyrics by up-and-coming composer Michael Friedman, and the show has been playing theatres and colleges, and receiving rave reviews, across the country since 2002. We talk with director Terry Screiber and actor Derek Roche about the new Off-Off Broadway Production on Tennessee Williams last major work. Terry Schreiber (Director): Featured in Eva Mekler’s The New Generation of Acting Teachers, Terry Schreiber has been teaching and directing for over 30 years. On Broadway he directed the Tony-nominated play K2, The Trip Back Down starring John Cullum, and Devour the Snow. Off-Broadway, his directing credits include Desire Under the Elms at The Roundabout Theatre with Kathy Baker and Feedlot at Circle Repertory with Jeff Daniels. He has directed at regional theatres around the country including The Guthrie Theatre, Syracuse Stage, Hartman Theatre Co., Pittsburgh Public Theatre, Studio Arena Stage (directing Celeste Holm and Betty Buckley) and George Street Playhouse. Internationally, Terry has directed numerous American plays in Japan and has taught workshops in Los Angeles, Paris and Istanbul. Productions at the T. Schreiber Studio include last year’s Sweet Bird of Youth, Hedda Gabler, Uncle Vanya, The Seagull, Orpheus Descending, The Iceman Cometh, Suddenly Last Summer, Summer and Smoke, Miss Julie, A Day in the Death of Joe Egg, Hamlet, Of Mice and Men, The Crucible, A Midsummer Night’s Dream, The Birthday Party, The Homecoming and Landscape of the Body. The Studio’s recent production season, including How I Learned to Drive, was nominated for twelve New York Innovative Theatre (NYIT) awards and were the recipients of three. Terry recently had his first book, Acting: Advanced Technique for the Actor, Director & Teacher published, and just completed a first draft of his second book, which deals with 20 years of producing and directing Off-Off-Broadway. Derek Roché (The Reverend T. Lawrence Shannon) is thrilled to be making his return to the stage after “quite a sabbatical”. He’s honored to be working with Terry and this wonderful cast. During his absence, Derek has been working in film and has recently played leading roles in the award winning films, Bellclair Times, Shocked Jock, the soon to be released, American Standard and in two short films with Jacob Reynolds. Derek is a graduate of Circle in the Square’s professional program and currently studies with Terry Schreiber. On Monday, March 3 at 7PM, The Jewish Museum will present “Shrek: From Book to Film to Broadway.” This panel discussion will trace the odyssey of William Steig’s Shrek character from the storybook page to his adaptation for film and the Broadway stage. Panelists will explore how Shrek‘s unique appeal with both adults and children inspires the creative process. For two weeks only, Off-Broadway will offer tickets for only $20 twenty minutes before show time. “20at20” is now a bi-annual celebration of NY’s best shows, in the tradition of Restaurant Week! Beginning Tuesday February 25 and continuing through Sunday, March 9, some Off-Broadway shows will offer seats still available twenty minutes before the curtain, for only $20 when purchased at the box office (cash only at some venues; some restrictions may apply) for over twenty shows. (A complete list follows). 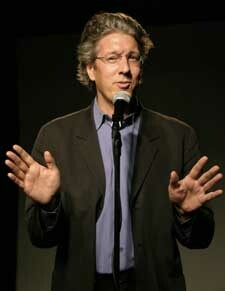 Go to www.offbroadway.com for a complete list of participating shows, venues and special offers. Or call toll-free 1-877-4-20at20 (420-2820). Is He Dead?, the new comedy by master American novelist and satirist Mark Twain, adapted by David Ives, and directed by two-time Tony Award winner Michael Blakemore, will close at Broadway’s Lyceum Theatre (149 West 45th Street) on March 9, 2008, following 105 performances and 13 previews. Dennis Letts, who was currently appearing as the patriarch-gone-missing from the highly-acclaimed new play August: Osage County, penned by son Tracy Letts, has died of lung-cancer on Friday, February 22. He was 73 years old. Dennis Letts originated the role of Beverly Weston in August: Osage County, with both the Steppenwolf Theater in Chicago and the Broadway company at the Imperial Theater on Broadway. He was an Oklahoma actor and retired English university professor; and appeared in more than 40 films and TV shows in his lifetime.